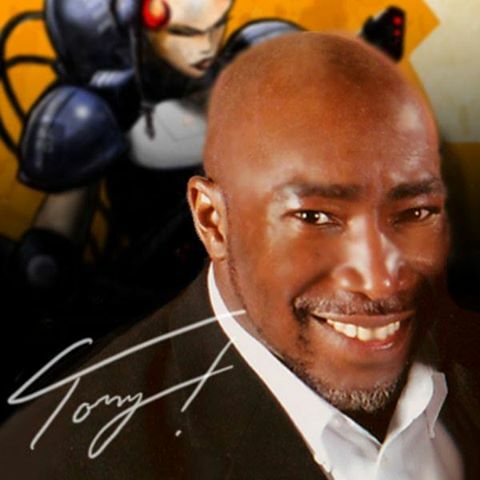 I’d like to give a big welcome to TONY SNIPES to my blog. rem: Thank you for joining us today, TONY. Your website has so much to offer, I hardly know where to begin. What do the terms “entrepreneurial artist” and “digital strategist” mean? The “digital strategist” part refers to the core tool that has helped me do all this: the internet and social media. rem: Yeah, that phrase [starving artist] bothers me too – especially as an artist myself! Multiple streams of revenue is fantastic. You began in the News media industry. How / why and when did you break away from that? I learned about marketing from my work in advertising within the newspaper industry beginning in the 1990’s. I’ve grown as the industry has grown, now with a local CBS affiliate helping businesses of all sizes learn about how the internet and especially social media can help them reach clients and customers. rem: I love that it “spills over” both ways, kinda like collaborating with yourself! What is your process or routine? TONY: My process has been to constantly seek feedback from my audience on the information that THEY say they need and/or want. The more I hear from them, the more relevant my content can be. I post a new blog post once per week and am experimenting now with the platform my audience may seem to prefer most (audio podcasting vs video vs text, etc). rem: Feedback and connection with your audience is vital – else why do we do what we do? What advice would you give to aspiring authors for writing and/or publishing? TONY: Always build an audience first, using these wonderful social media tools we have. rem: AHEM, yes well, moving on….. I took the proverbial cart before the horse route, but am steadily building my platform – and audience. What was the hardest thing about publishing? rem: Of course! I gotta say, I love your illustrations!!! Do you have a favorite book or project that you’ve written? If so, why? 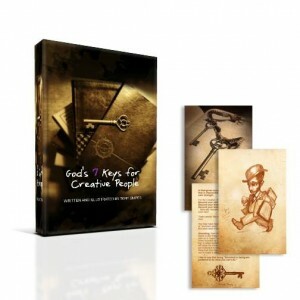 TONY: Yes, my newest book ‘God’s 7 Keys for Creative People’ because I was able to incorporate much of what I learned in this project about the arts and faith into this one publication. rem: I’ve seen your book, and I know it’s a powerful tool to have. Tell us three things about yourself. I am a HUGE sci-fi fan. I was a true geeky kid, spending Saturdays at the local library checking out “how to” books, then spending the afternoon making what I read about. Although I’m bald, I haven’t lost my hair…I just wear it that way! rem: Sci-fi I can see, geeky not so much. LOL And the hair – or lack thereof – works well for you. Tell us a little about your writing / drawing journey. TONY: Blogging has been the thing that brought my art and writing together. As I’ve built my following over the years through written articles and blog posts, it’s been my visual art that has been the attractor of fellow artists. rem: I’d have to say that’s what caught my attention! What do you enjoy most about being a writer / artist / entrepreneur? 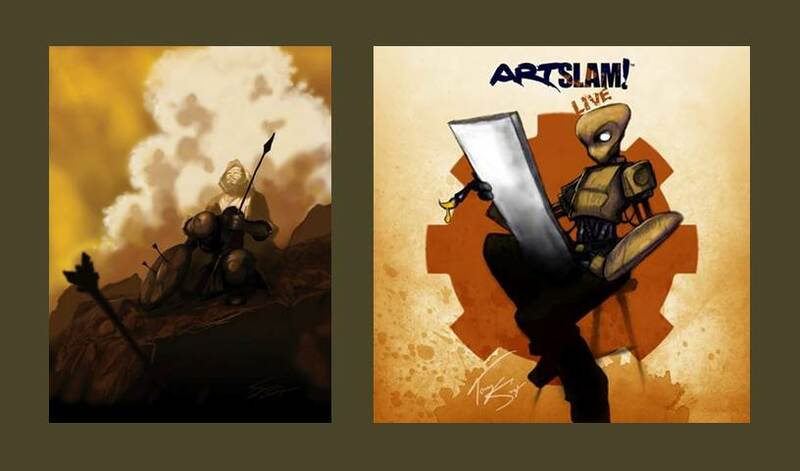 TONY: As an artist, I enjoy being able to create images on the fly. rem: What is the hardest aspect of being a writer / artist / entrepreneur? TONY: Finding time to complete the task. rem: I hear that!! What is your greatest regret? TONY: Not starting my speaking/writing career sooner. rem: What do you do as a hobby? rem: Of course! Do you have one or two you can share with us? Fantastic! Sure has your brand all over them!! Tell us a little about your upcoming book. What is one take-away from your book that you hope readers identify with? Who am I? Why am I here? What should I be doing? I uncover 7 biblical principles that every writer, singer, illustrator, dancer, designer, speaker…EVERY creative person live by! The one key takeaway about this book is that you will know without a doubt WHY you have the talent you have…and what you’re supposed to do next. Tony Snipes started out as an entrepreneurial artist and has grown with the times to become a digital strategist, with a focus on marketing and small business. He has spent most of his career in the News media industry, blending his internet marketing and sales experience with his passion for the arts and entrepreneurship. Tony now devotes his time to illustrating, writing, consulting, and speaking, especially using his blog, ArtLessonsFromGod.com, as his platform. Tony has been happily married to his wife Monica and is the father of three beautiful and talented daughters: Azsa, Anisa and Moriah.